In just a few weeks, on November 14, free practice gets underway for the tradition-steeped Macau Grand Prix – the most important race on the international Formula 3 calendar. Held at the ultra-demanding Guia street circuit, lined by unforgiving barriers and allowing for speeds of 290 km/h, the Chinese classic pitches the stars of tomorrow against each other in a truly unique event – an annual world finale where only the best prevail. Macau, however, isn’t all about racing and Formula 3 – it’s also the largest gambling metropolis on earth. As a matter of fact, the very blend between motorsport and city pulse is one of the key ingredients in the recipe that’s given the event such universal appeal. Macau is one of China’s two Special Administrative Regions (the other being nearby Hong Kong), and was a Portuguese colony up until 1999. The Portuguese arrived in the mid-16th century, and went on to legalise gambling in Macau in the 1850s – a state that would remain unchanged even after the area returned to Chinese ruling. In 2007, Macau out-grew Las Vegas in casino revenues, taking over as the world’s leading gambling destination. Today, the Macau skyline is dominated by top-of-the-line casinos, with gambling tourism providing more than half of the city’s economy. 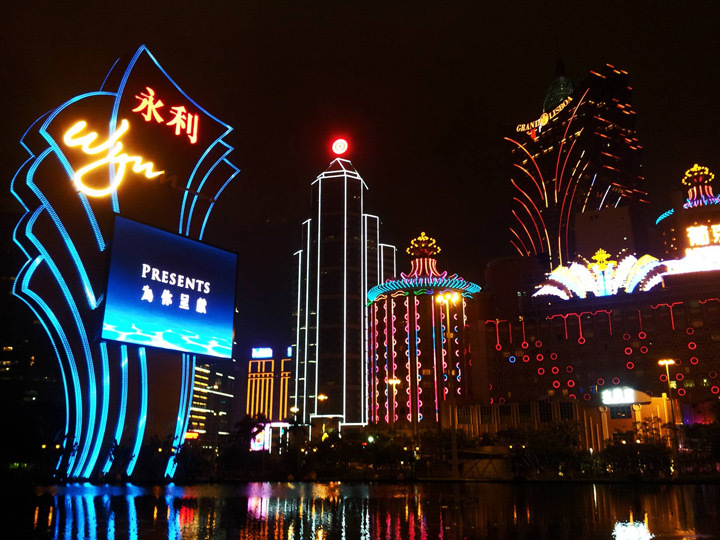 It’s no coincidence that several of the major casino hotels, including the world famous City of Dreams and the Hotel Fortuna, are enlisted among the main sponsors of the Macau Grand Prix. 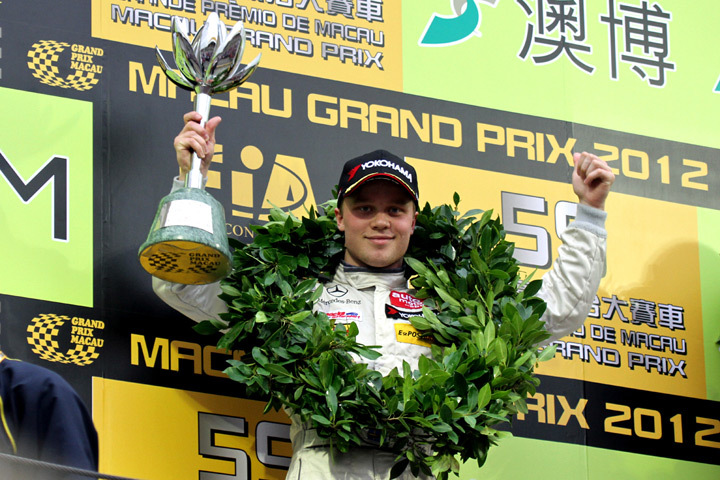 For Felix Rosenqvist, the Macau Grand Prix has already marked the scene of some memorable moments. An attention-grabbing performance on his debut visit in 2010 paved the way for a drive with Mücke Motorsport and Mercedes on the European stage for 2011, while a second-place finish in last year’s edition saw him join an exclusive group of drivers to have reached the podium in the blue-riband event of international junior single-seater racing. In a statement to the magnitude of the Macau Formula 3 Grand Prix, a full 15 out of the 22 drivers who race in Formula 1 in 2013 – i.e. close to 70 % – have taken part in the event in the early stages of their careers. None have succeeded in winning; not even four-time world champion Sebastian Vettel, who came away from China with a best finish of third in 2005. Force India star Adrian Sutil then equalled Vettel’s result a year later. The best Macau result of the current F1 crop, however, was achieved by Jenson Button, who finished second in 1999. Felix’s 2012 Macau drive, coupled with his emphatic form in this year’s FIA Formula 3 European Championship, inevitably makes him one of the pre-event favourites – but, as always, competition will be absolutely fierce. The grid is overflowing with talent, including Ferrari-backed Italian Raffaele Marciello (who eventually came out on top of an intense title fight with Felix in the European Championship) and Red Bull protégé António Félix da Costa – who won at Macau last year. The entry list also includes the likes of Alex Lynn (third in the FIA Formula 3 European Championship), British F3 champion Jordan King, factory McLaren GT racer Alexander Sims and GP2 race winner Stefano Coletti. As if that wasn’t enough, Carlos Sainz Jr. – the son of former world rally champion Carlos Sainz – returns to Macau for a third time hoping to mix it for victory. 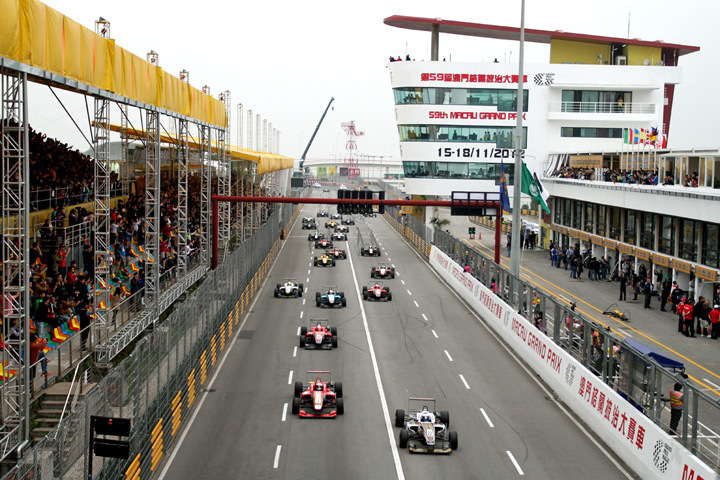 2013 marks the 60th anniversary of the Macau Grand Prix (although F3 didn’t join the event programme until 1983 in a race won by Ayrton Senna). The jubilee celebrations are expected to bring yet further glitz to the event, at a place where the boundaries between tears and triumph are as fine between the barriers as they are on the gambling table. The streets of Macau are where the truly great champions are born. This, to put it simple, is the race everyone wants to win.